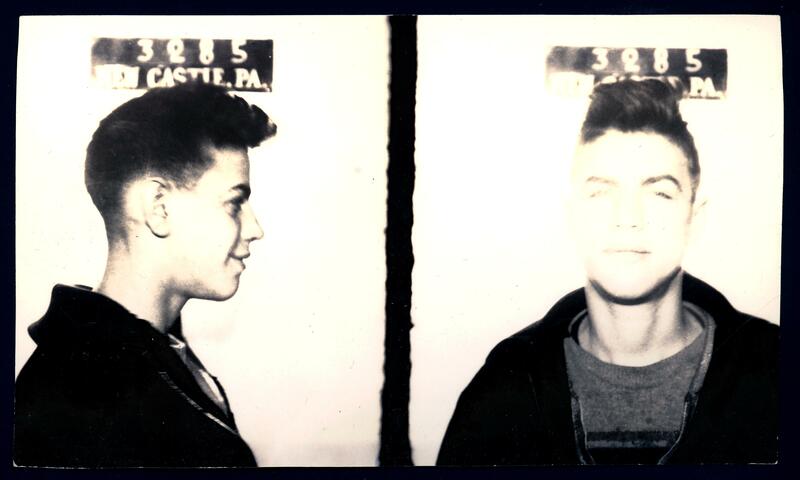 On the last Sunday night in 1940, Frank Bullano and his friend, James Perrone, both seventeen years old, were stopped and searched after being seen loitering around the parking meters on North Mercer street. Between them, they were carrying $3.25 in nickels – roughly the daily wage of a factory worker. They were arrested and held for further investigation, but were eventually released, having consistently denied any wrongdoing. A few days before Christmas, five years later, Frank was almost shot dead on a road outside the little Belgian town of Bastogne, when his armoured division came under attack from German troops. The American tanks were taken out by the first strikes and they sat in flames, blocking the road, as the German machine guns opened fire on the infantrymen. Some of the Americans returned fire while others tried to save the wounded tank crews. Frank was seen “advancing on foot, under heavy fire, to a burning tank to see if any of his buddies were trapped inside”. Years later, the unit’s doctor wrote an article for his local medical society’s newsletter in which he recounted his experiences as an army medic and described the attack outside Bastogne. “Many of our enlisted men demonstrated great bravery on the road,” he said, “pulling tankers from their blazing tanks and driving jeeps with the injured men on the hood to our Aid Station. Many of these men were soldiers whose reputation in the unit would have given no clue to the fact that under stress they could meet this challenge.” He concluded, “I have never learned who to predict will be a hero”. Frank was awarded a bronze star medal in recognition of his actions that day. The Americans spent the next month under siege in Bastogne, completely surrounded by German tanks that shelled the village day and night. They had little fighting to do; their job was simply to sit tight and hold their ground until developments elsewhere forced the German army to retreat, which finally happened towards the end of January. More than thirty-five thousand soldiers were killed in that final winter of the war in Europe. Frank wasn’t one of them. After the war, Frank stayed in the army and served in Korea in the 50s and Vietnam in the 60s. He retired from the army in 1970, at the age of forty-seven. Sources: New Castle News (30 Dec 1940, “Deny Stealing Parking Nickels”; 4 May 1945, “Sgt Frank Bullano Wins Bronze Medal”); John Prior’s article http://bit.ly/johnprior.